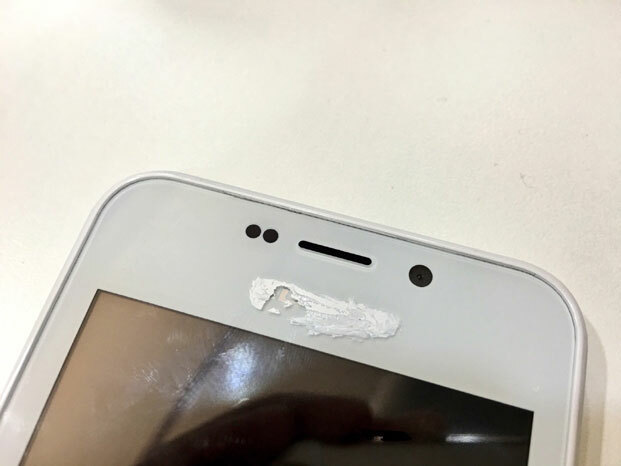 Home / Technology News / Freedom251 looks exactly like Adcom Icon 4, So the question is :: Is it China product or Indian? 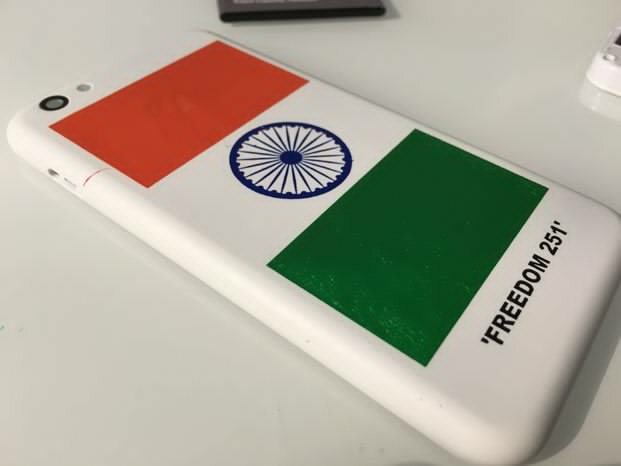 Freedom251 looks exactly like Adcom Icon 4, So the question is :: Is it China product or Indian? 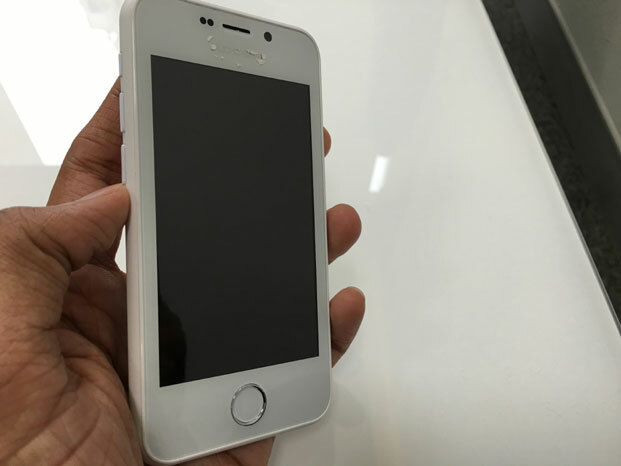 The Freedom 251 smartphone, which Noida-based technology company Ringing Bells Pvt. Ltd claims to make, has been launched. As the name suggests, it is priced atRs.251, and is up for booking now onhttp://www.freedom251.com. Actually, the company is charging a shipping charge of Rs.40, which means what you pay finally to get the Freedom 251 is Rs.291. They claim that the phone will be “delivered in 4 months”, from the date of booking. At present, you can buy the Freedom 251 only through this website, and not on any other e-commerce platforms or offline stores. Considering the fact that this phone is being targeted at the unconnected demographic of the population, does selling it online only really make sense? On paper, the specs looked quite interesting—a 1.3GHz quad core processor, 1GB RAM, running Android 5.1 (Lollipop) operating system, a 4-inch (960x540 pixels) display, 8GB internal storage with micro SD card slot, dual-SIM, 3.2-megapixel camera and a 1450mAh battery. But there is a catch, in fact many of them: the review unit we got did not switch on even after we followed all troubleshooting steps and the battery of the phone was fully charged. 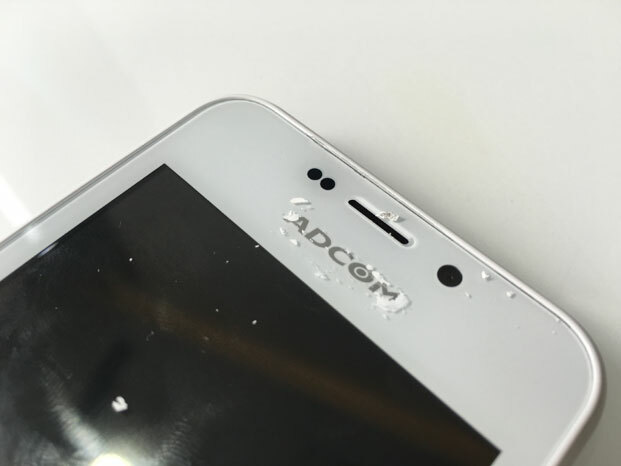 It is quite a shock to see a smartphone review unit which has white paint/whitener used to hide away some branding on the front of the device. But that is exactly what Ringing Bells has done with the Freedom 251 phone that we have received. But why would anyone use whitener to hide away any branding? On a side note, the glass above the screen is a fingerprint magnet and extremely reflective. The answer to the above question resides in this image. 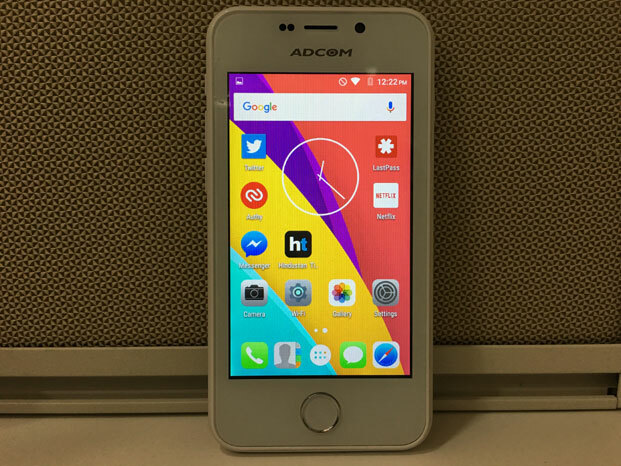 While Ringing Bells claims to make the Freedom 251, at least the phone which we got is made by IT peripherals and smartphone maker Adcom. Perhaps, that explains the need to hide the name, and hope no one will notice. Ringing Bells is yet to answer our queries about the Adcom connection. Fairly conventional stuff here—a removable battery, dual SIM card slots and a memory card slot. The back panel is made of plastic. 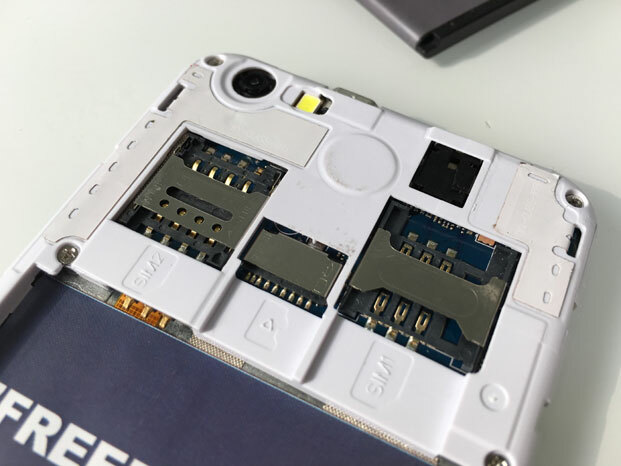 These are the dual SIM slots and the memory expansion slot which supports a micro SD card. Ringing Bells claims the Freedom 251 has a 1450mAh battery. 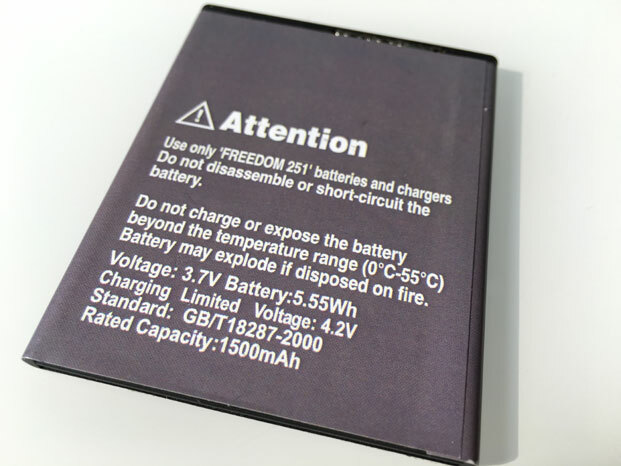 The rating on the battery itself says 1500mAh. We really don’t know what to trust. The Indian national flag is painted on the back panel, which is otherwise white in colour. 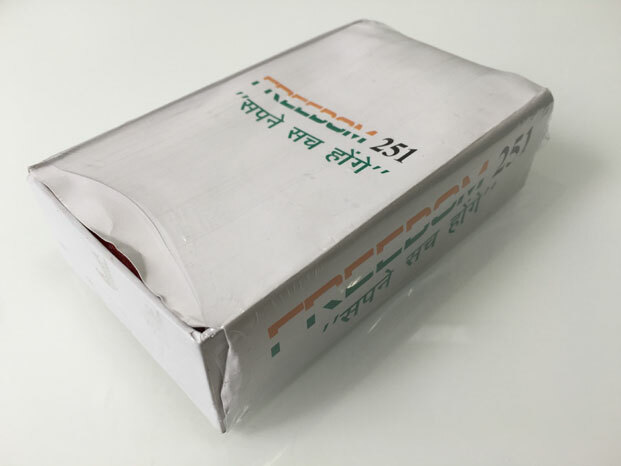 Very basic packaging of the Freedom 251. The pack contains a set of earphones and a charger. The patriotism seemed to be wearing off pretty quickly. 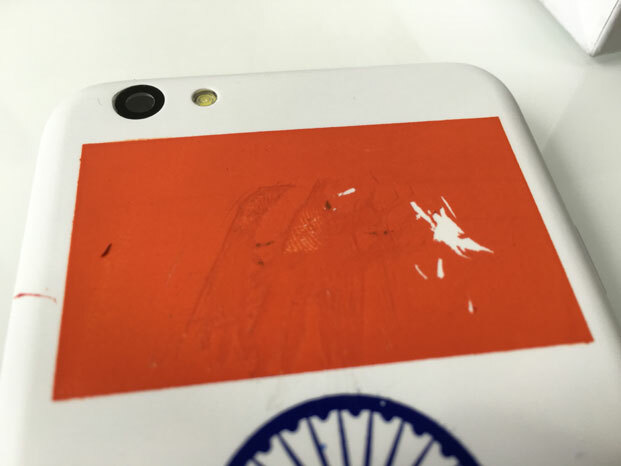 The Indian flag painted on the back panel was wearing out even before we started using the phone. The home button below the screen gives it a very iPhone-ish look. But that’s about it. We got access to another unit of the Freedom 251, and here is a quick first take on the usability and performance. The phone, thanks to its 4-inch screen, has a rather compact footprint. Also, the choice of using a physical home button is surprising, considering the fact that Android otherwise offers on-screen navigation, where users don’t have to ever move away from the touchscreen to switch between apps. A lot of icons (such as the web browser, calculator, camera and email) have been picked up as is, from Apple’s iOS operating system for iPhones and iPads. We aren’t entirely sure if Apple allows that, and this could open up the Freedom 251 makers to some potential legal action. Our first impressions with the device seem to suggest that the quad core 1.3GHz processor, paired with only 1GB RAM, is still doing a pretty acceptable job in terms of performance. 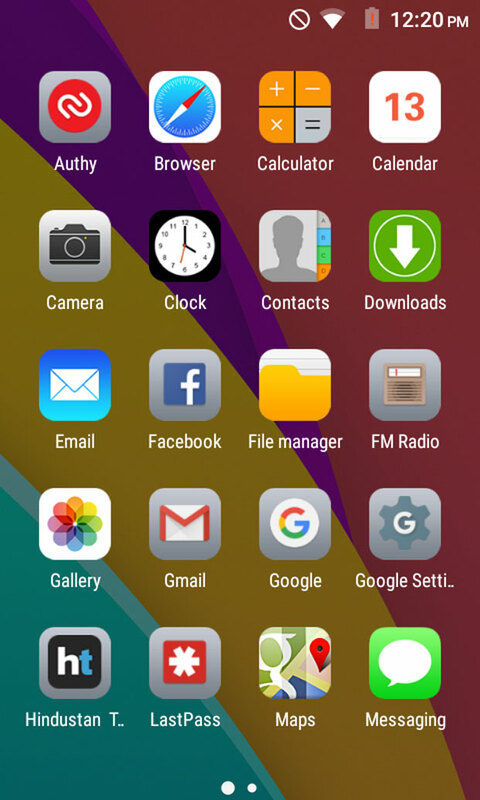 We found that switching between apps is quite smooth, and even with 5-6 apps open in the background, the newer ones opened without much delay. 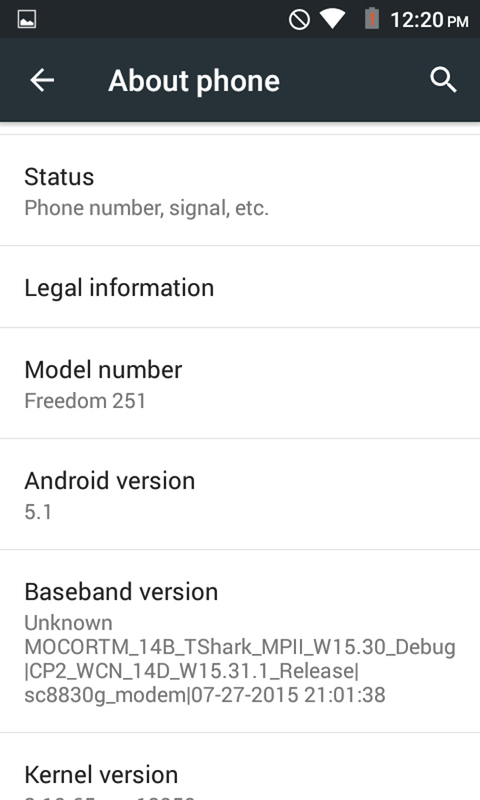 Some more system and hardware details of the Freedom 251. So the question is how they give it in Rs.251 Only?